There are several main home staging considerations to think about before deciding how to go about preparing your house for the open real estate market using specialized property enhancing techniques. Home staging is the most targeted form of real estate marketing, since it seeks to create an atmosphere of universal appeal inside and outside the home, in order to psychologically endear the property to all potential buyers. There are three distinct approaches to home staging and each has its pros and cons. This essay will assist residential property sellers to decide which method of staging will work best for their particular needs and budget. Full service home staging is the most common option for property sellers and rental management companies. In this scenario, a professional home stager will do everything to get the home looking and feeling fantastic to welcome prospective buyers or renters. Full service staging puts the complete responsibility of aesthetic improvement into expert hands. The stager will design a staging plan and implement it using personalized combination of existing décor items, rental furniture and art provided simply to improve the look, feel and flow of the residence. 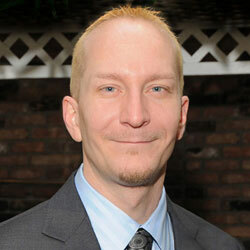 This professional approach is the easiest for most home owners, but is also the most expensive. Additionally, the upheaval in the residence can be great, so this approach can be problematic for some sellers who are occupying the home while it is up for sale. This is particularly true for families with pets and small children, since the décor brought in must not be damaged or the homeowner may be liable for repair or replacement costs. 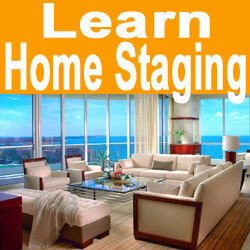 Complete do-it-yourself home staging is also popular. This approach is intimidating to many home owners, but is not as difficult as it sounds. Actually implementing a well-designed staging plan is not too hard and can be done by virtually anyone. However, the aspect of DIY which is very challenging to accomplish is the actual design which needs to be created in the home. There is simply no substitute for professional design talents and skills. Many home owners are overwhelmed by the planning phase alone and never make it to the actual execution, since they simply do not know where to begin or what changes will look appealing to the eye. Complete DIY is great for people with a knack for design and some brawn to implement the changes in the home which must be accomplished. The biggest benefits of DIY staging are the ultra low cost and incredible flexibility. I often recommend a compromise approach to most home owners who are not sure which way to go using the above options. I advise considering the idea of hiring a home staging consultant to provide the design inspiration and planning, and then allowing the homeowner to implement the staging plan themselves, in order to save lots of money. This compromise technique has proven itself to be a fantastic middle ground for many sellers and is also the basis of my own business model. I do not recommend this approach for all, but it is a perfect solution for most families who want to improve their homes prior to marketing, but can not get involved with the many limitations of full service staging. The benefits include a fantastic final aesthetic, due to the professional design assistance, and a low cost, since the fee for a consultant is typically far lower than the full service approach. To get advice on staging your home or commercial property, feel free to contact me anytime or read my book for targeted step-by-step directions that are ideal for DIYers.